Exquisitely packaged in a gold box and tied together with a beautiful ribbon, the decadent chocolate gifts come in a variety of unique editions including Lavender & Apricot, Rosemary & Walnut and 100% Cacao, which are guaranteed to please a special someone this Valentine’s Day. Cachao Chocolate Squares (40g): this pocket-sized box of Cachao’s signature Chocolate Squares are the perfect way to ‘wow’ a loved one. Cachao Chocolate Squares (150g): this larger box of delicately thin, melt in the mouth Chocolate Squares are ideal for those wanting to pamper that special person this Valentine’s Day. Cachao Chocolate Bars (60g): for a decadent treat with a luxuriously smooth and silky texture, this raw chocolate bar is a truly romantic gift. Power-packed, raw cacao and nothing else, this 100% cacao offering is smooth and silky in texture with a complex earthy and smoky flavour. Made with 71% pure chocolate, this refreshing blend of floral lavender and juicy ripe apricot provides a unique and vibrant flavour combination. This aromatic combination of earthy rosemary and creamy walnut marries perfectly with the decadent 71% pure chocolate base. 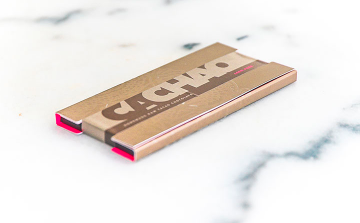 Cachao’s bean-to-bar recipes deliver the highest quality and most luxurious chocolate possible. It is produced using the finest ingredients from both local suppliers in the Balearic Islands and Mainland Spain and the highest-quality, sustainably-sourced cacao from Indonesia and South America. The brand has a huge celebrity following on the continent, with many choosing it for intimate gatherings and parties. Raw cacao beans are carefully harvested, peeled and fermented before being stone ground on-site at the Cachao premises. Here, they undergo a complex four day production process where the resulting chocolate is heated (always under 42 degrees) and cooled at certain temperatures for specific time intervals to deliver the perfect balance of textures and taste. Each of the brand’s mouth-watering chocolates are free from gluten, soya, dairy, refined sugar and are low GI. They are rich in flavour and packed full of natural nutrients such as magnesium, iron and chromium, all of which can have a positive effect on blood pressure, bone composition and brain and heart function. 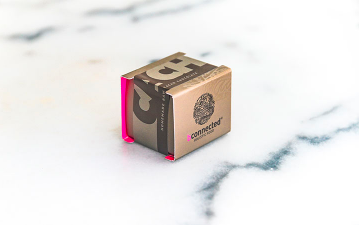 The brand sources its cacao beans, coconut blossom sugar and cacao butter from Big Tree Farms, an ecologically sustainable farming initiative in Bali that works directly with individual community farmers across the country. Cachao’s packaging comes from recycled materials and is designed, sourced and printed locally in Mallorca. All ingredients are organic, ecologically farmed, fairly traded and sourced locally, wherever possible. Those ingredients which grow only in the tropics (ex. cacao, coffee) have been carefully sourced from farms with a deep commitment to sustainability and a strong sense of responsibility to local workers. The brand’s bespoke recipes were meticulously developed over two years by the brand’s head chocolatier, Tino Wolter. Wolter is a renowned chef in Europe, where he has established himself across the Michelin Star community. 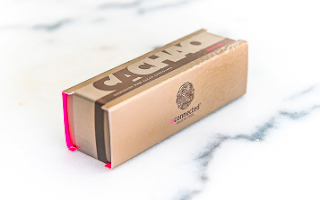 Cachao has a luxuriously smooth texture, sublime flavour profile and the exceptional ingredients and bespoke production process retains the goodness of chocolate in its purest form, making it a natural aphrodisiac that delivers a hit of naturally-occurring caffeine and theobromine that has an energizing effect on the whole body. 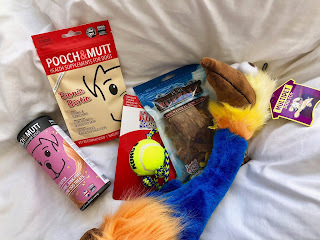 Be sure to follow Cachao on Facebook and Instagram. 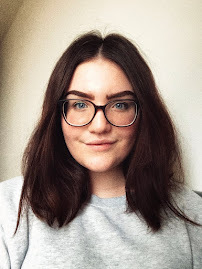 This post is not sponsored but I have been gifted some of the chocolate.